Bwana continues his search for Lina. As you exit the harbor alley with new clothes, notice that M.S. Biko is parked in the harbor. 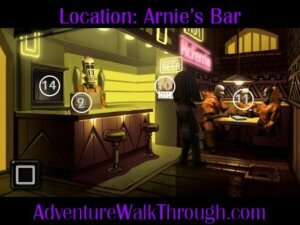 Look for the crew in the local bar: Arnie’s Bar. Talk to the crew and learn that Lina is taken away by police chief Barlow to Club Temba and that only the rich privileged can get in. Check with the bartender, Arnie, how to get into Club Temba. Learn that the service shaft behind him serve drinks for the Club Temba VIP lounge. Bwana can not use the service shaft as Arnie is around. Learn that Arnie will leave the bar to secure merchandises if shipments come in. However, the lighthouse is damaged but the pirates. 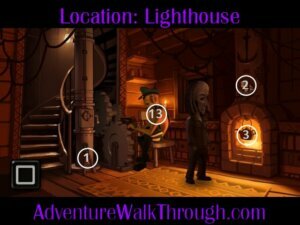 Bwana’s only chance is to help fix the lighthouse. In this part, you will help Bwana fix the lighthouse in order to access the service shaft and get into Club Temba. 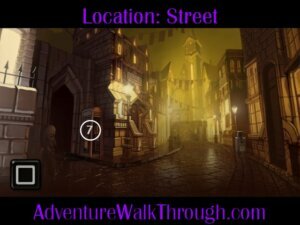 Use the following detail maps to locate items in each location: Lighthouse, Lantern Room, Club Temba, Street, and Arnie’s Bar. 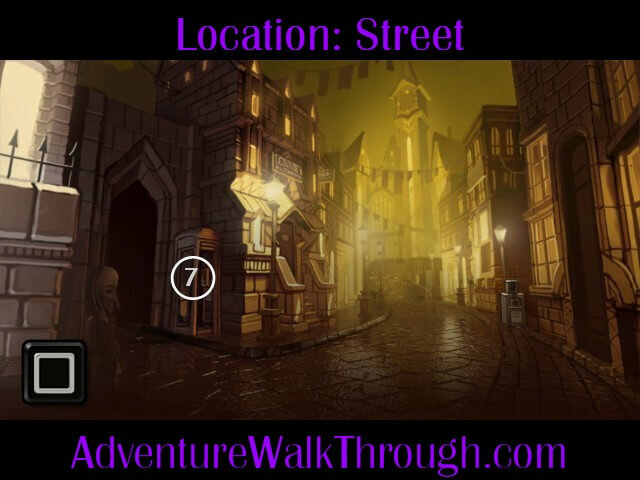 Use the Port Artue area map to navigate between locations. 1. Boltcutter: Locate and enter lighthouse at the far end of harbor. Meet lighthouse keeper, Morten. Take the boltcutter by the stair. 2. Model ship: Get a model ship from the wall. 3. Soup: Fill the empty can with the lobster soup in the teapot. 4. 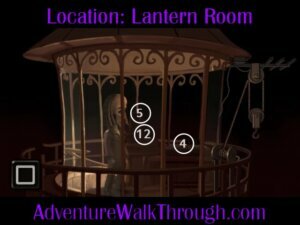 Lantern Room: Go up the stair. Check out the lantern room. Notice the radio transmission frequency is set to “969”. 5. Lamp: The lantern is broken. Lamp needs to be replaced. 6. Wire box: Notice floodlights outside Club Temba. Bwana can not just take the light, because the club is guarded by the Maitre D’. Use the pickaxe to break the wire box outside the club. Use the boltcutter to cut the power cable. 7. Telephone Booth: Check out the matchbox that Bwana obtains earlier. The telephone number for Club Temba is 634 000. Enter telephone booth. Dial the number. Indicate that you are from the management and grants access to light repair man. 8. Lamp: Go back to the club. Obtain the lamp. 9. Radio: Head over to Arnie’s Bar. Check out the radio on the counter. Set the radio frequency to 96.9. 10. Almanac: Take the almanac of St. Armando from the wall. 11. Navigation Guide: Talk to the M.S. Biko Crew. Give Gimbo the can of lobster soup and borrow the book on the table. 12. Repair: Go back to the lighthouse’s lantern room. Repair the lantern. 13. Morten: Give the navigation guide book to Morten. Lighthouse is up and running. 14. Service Shaft: Go back to Arnie’s Bar. Arnie is gone. 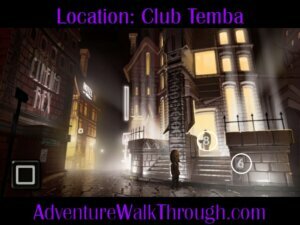 Use the service shaft to enter Club Temba. Bwana has found Lina.